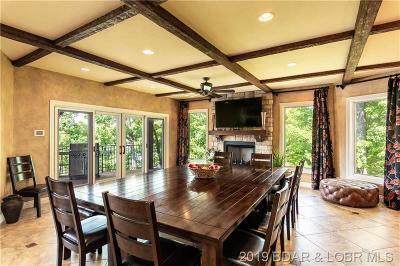 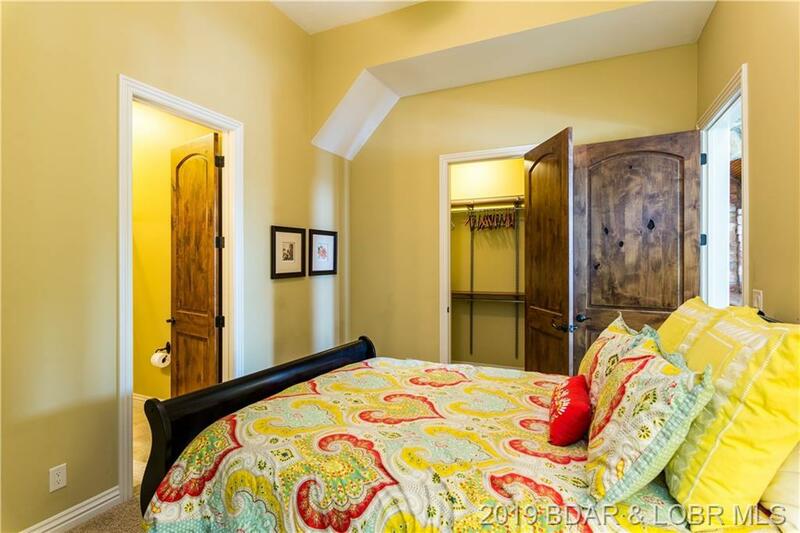 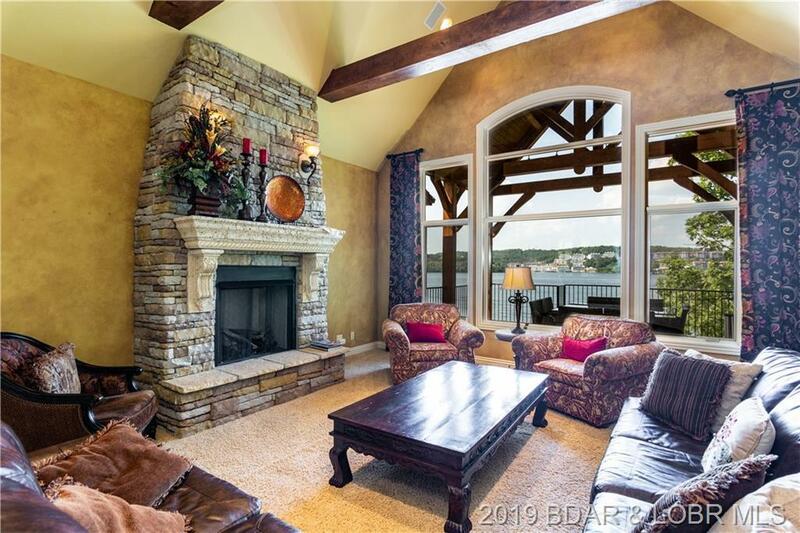 Exceptional home with a lodge vibe so appealing in a lakefront vacation home. 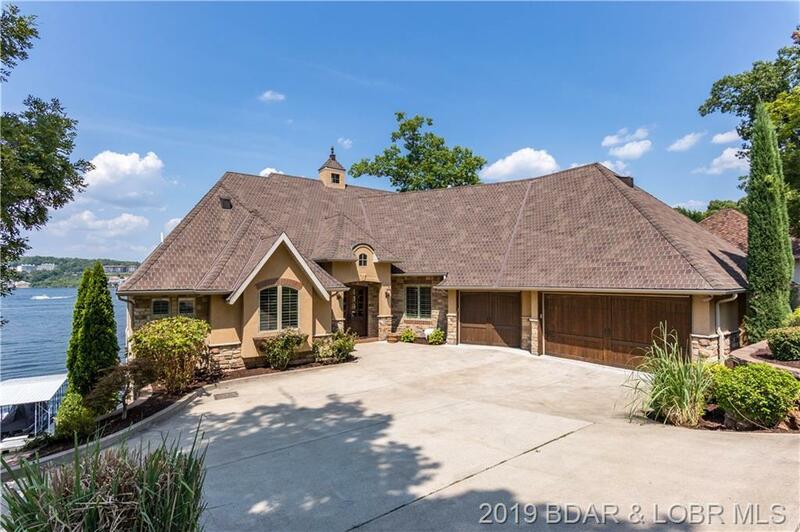 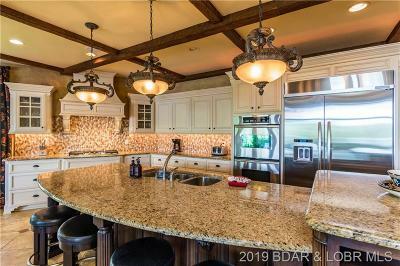 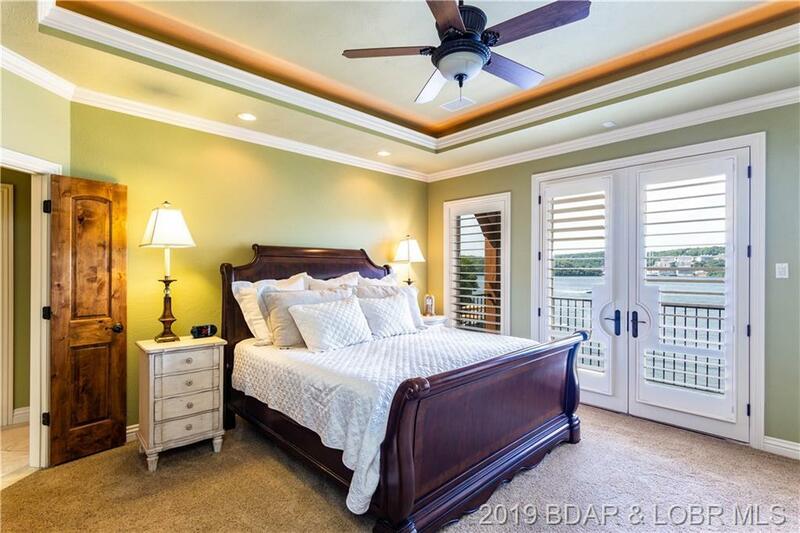 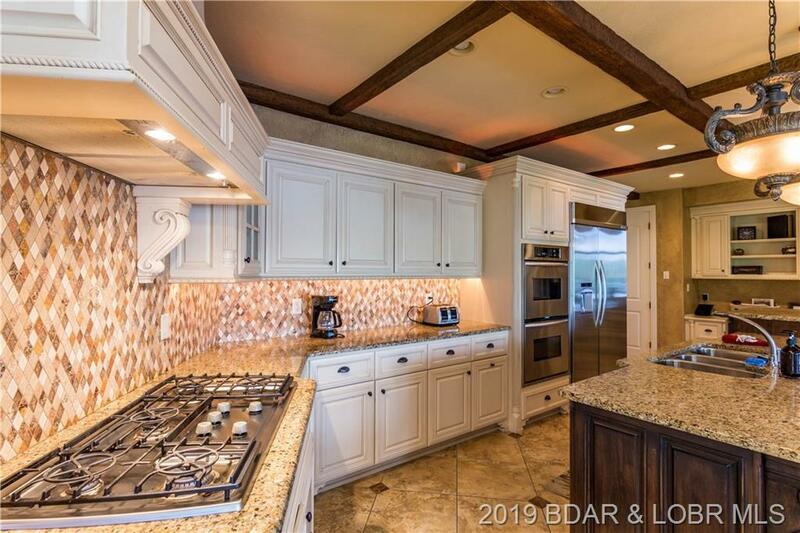 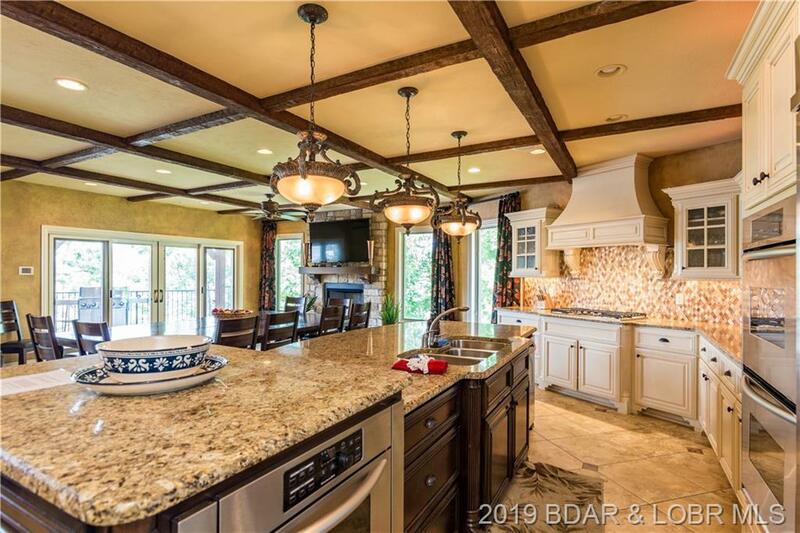 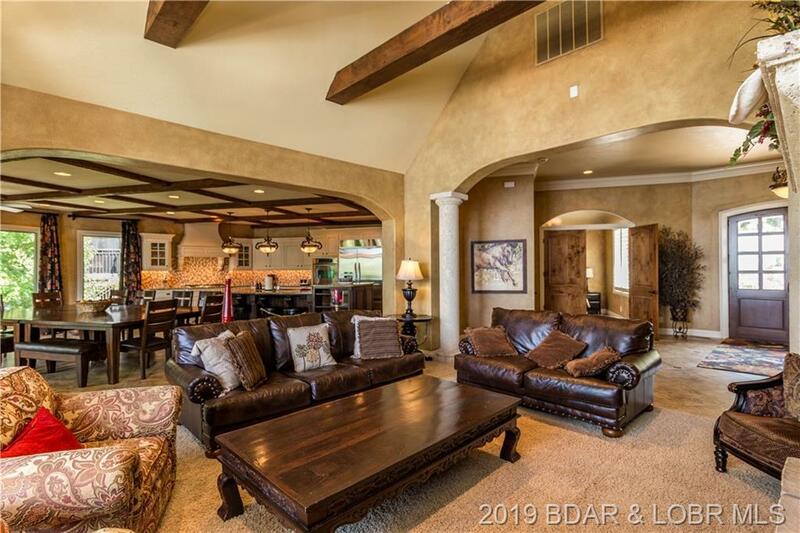 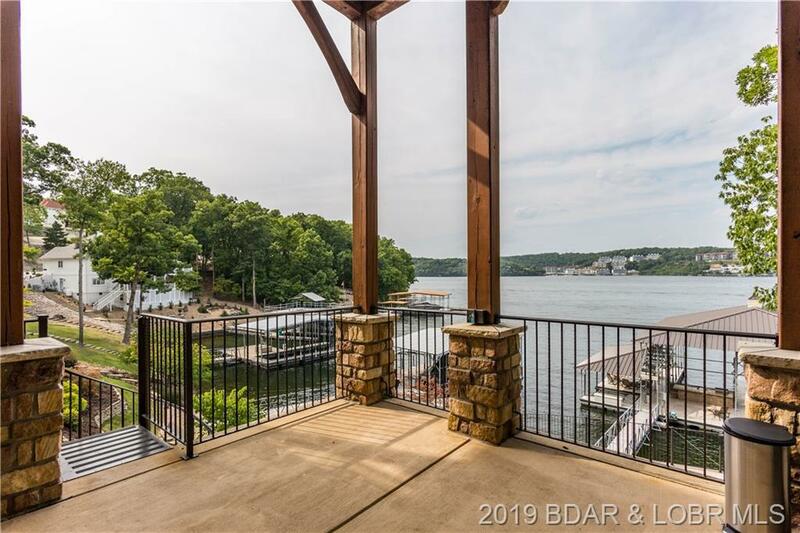 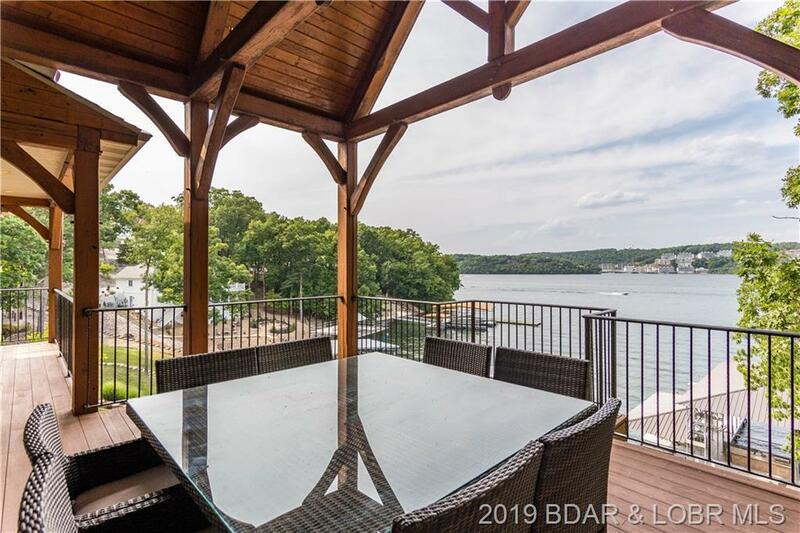 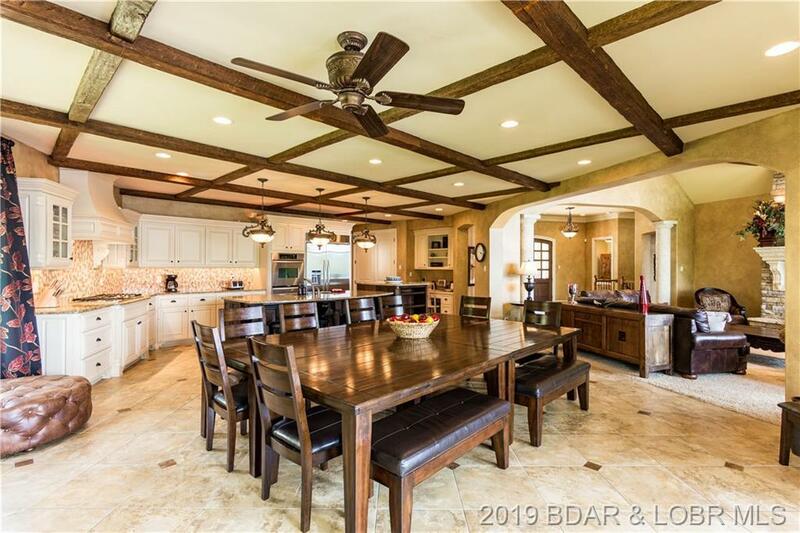 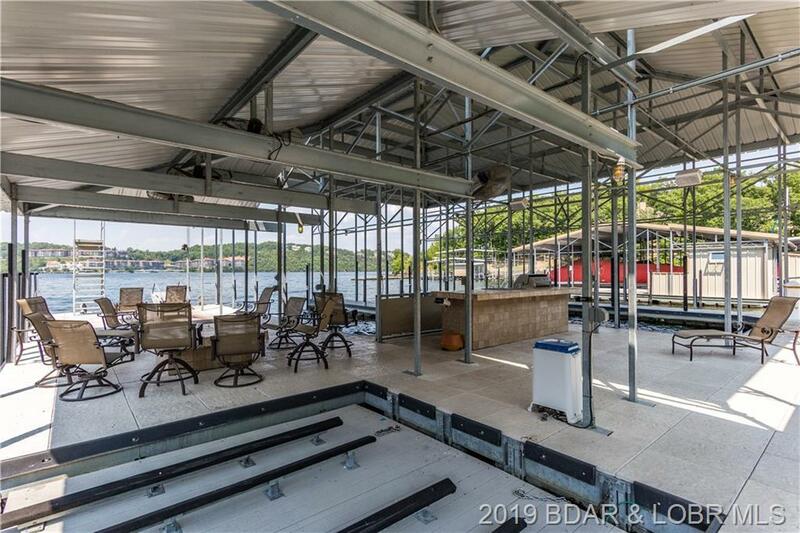 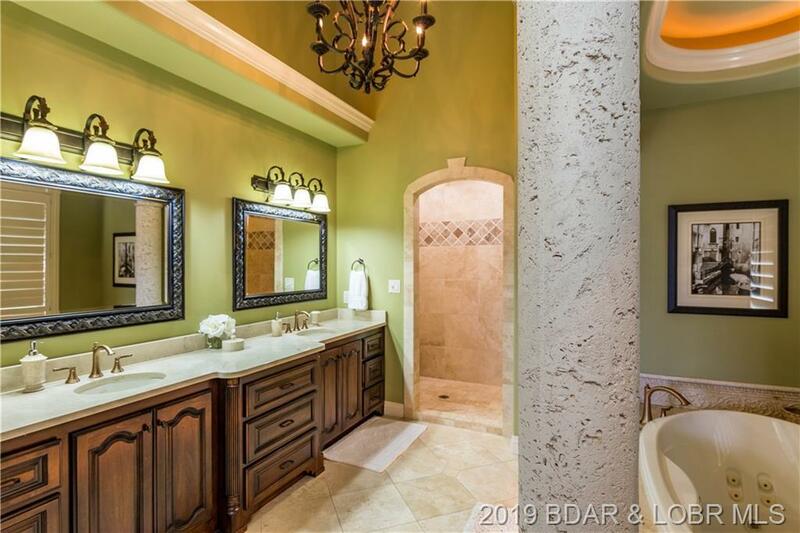 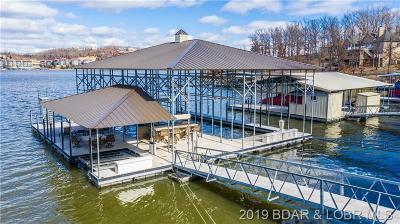 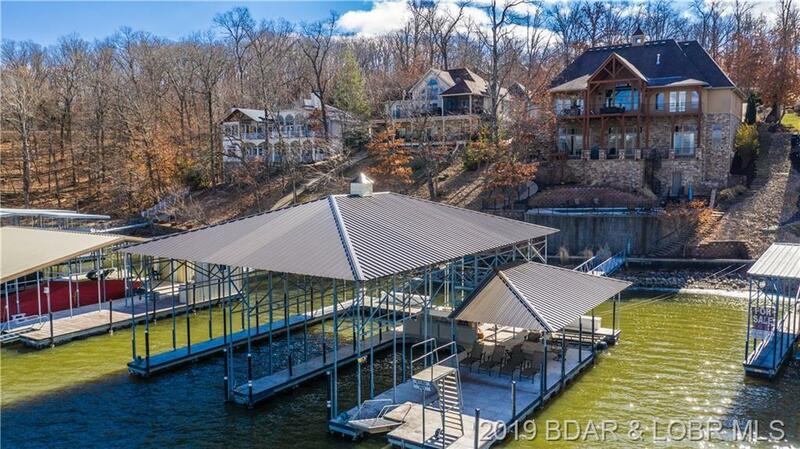 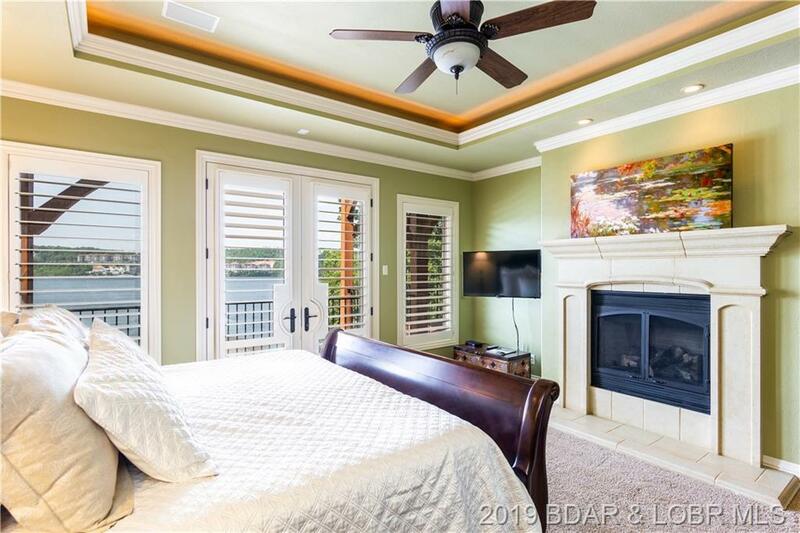 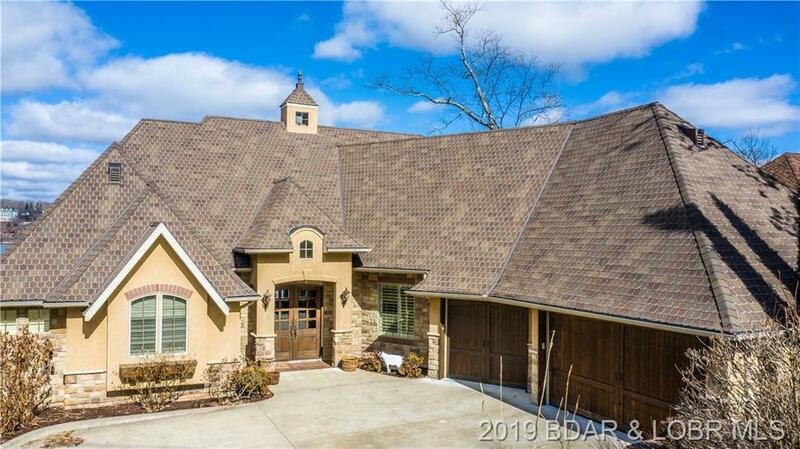 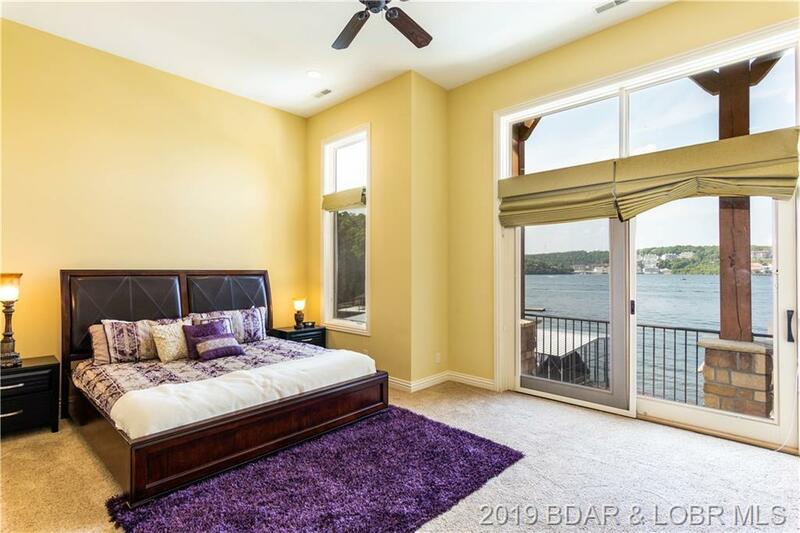 Fully furnished and accessorized with an awesome cruiser dock (18x54 & 14x36) w/entertaining bar & tons of covered sitting area, this home features smart home Crestron technology, high end appliances, stone floors set on the diagonal and beautiful character alder doors and trim. 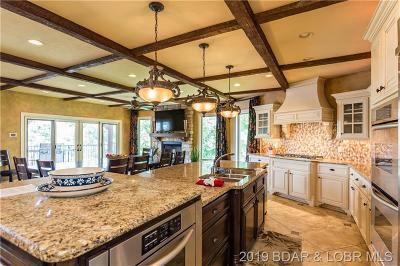 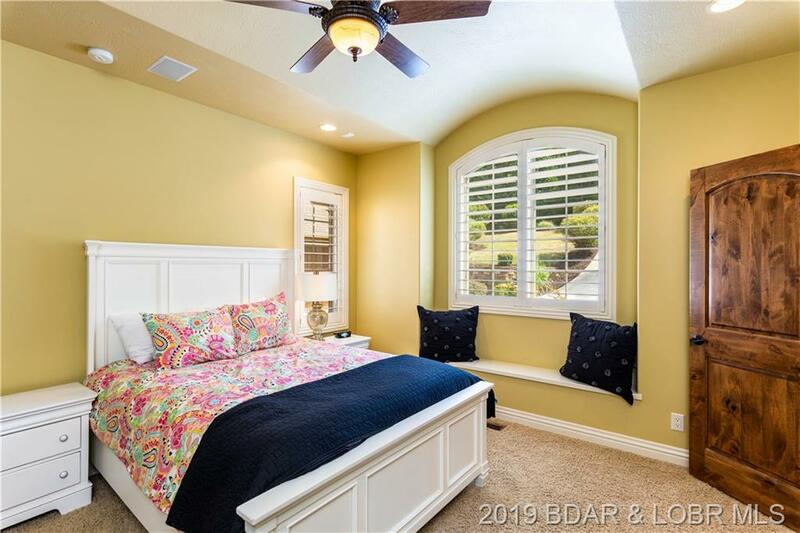 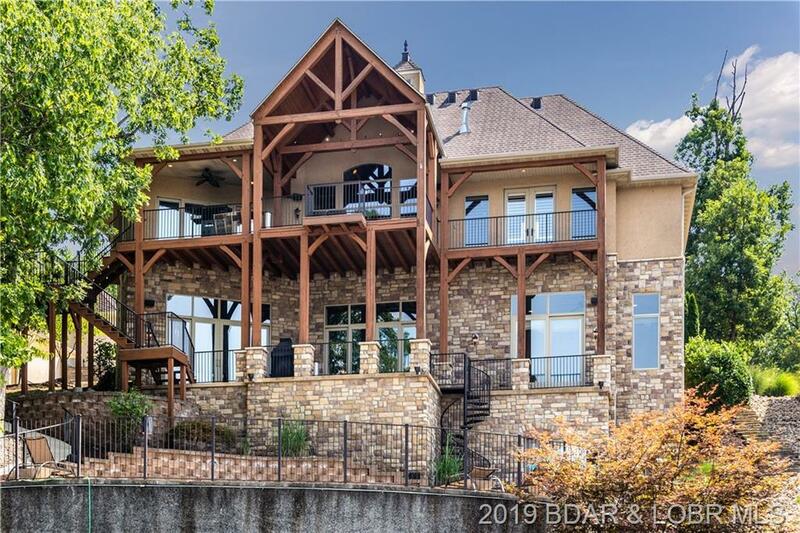 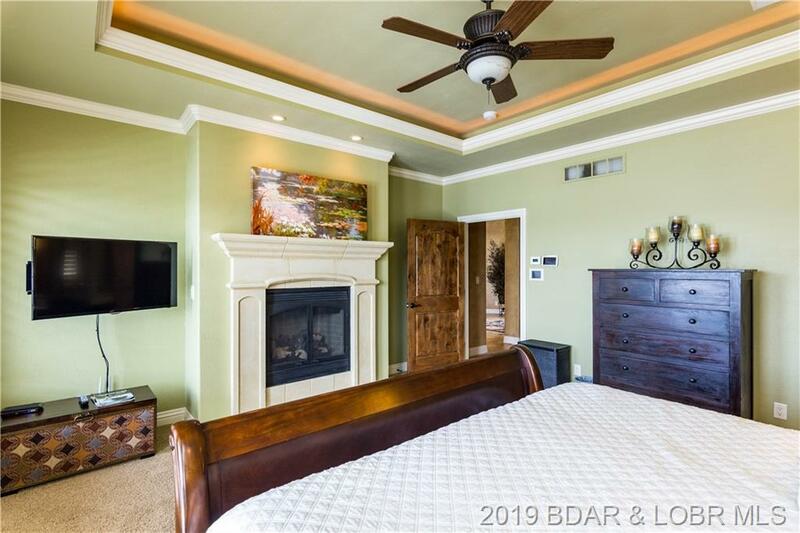 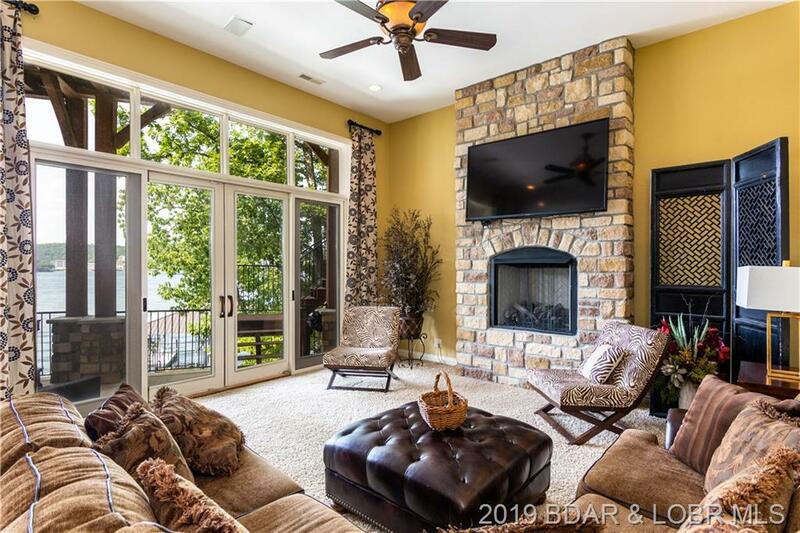 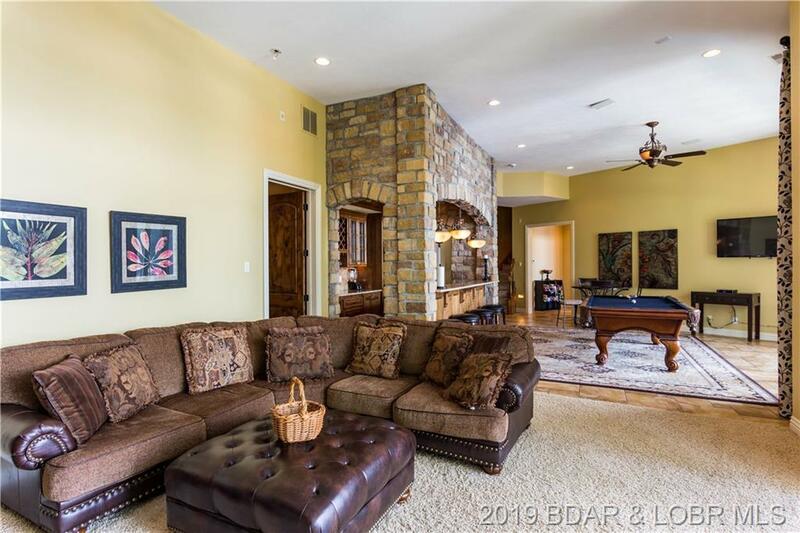 A grand entrance with a wall of windows framing a gorgeous channel lake view, sturdy accent beams and stonework, 4 fireplaces, popular main level living includes another bedroom suite on the entry level. The huge kitchen is open to the hearth room (currently utilized for crowd size dining), this home has total of five ensuite bedrooms and a den/office converted to 6th sleeping quarters. 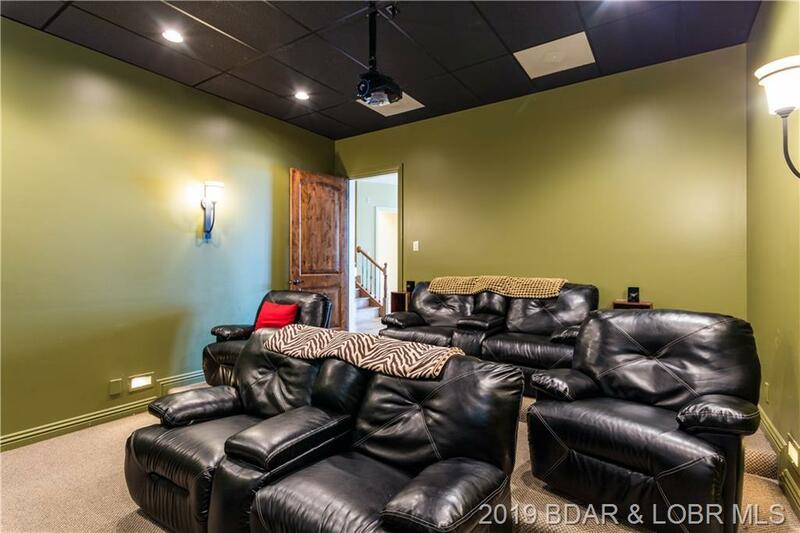 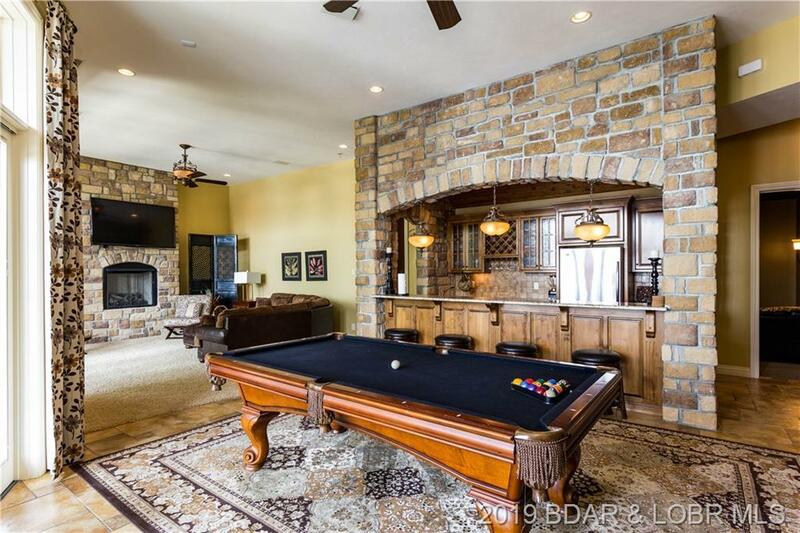 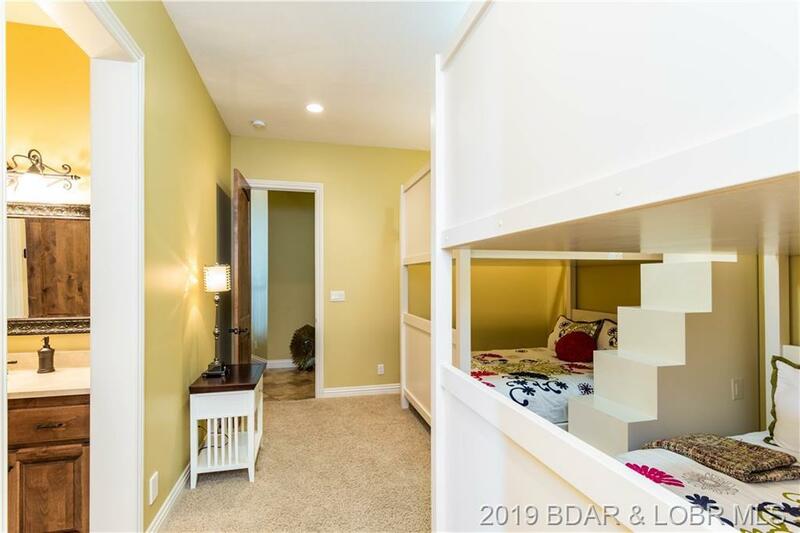 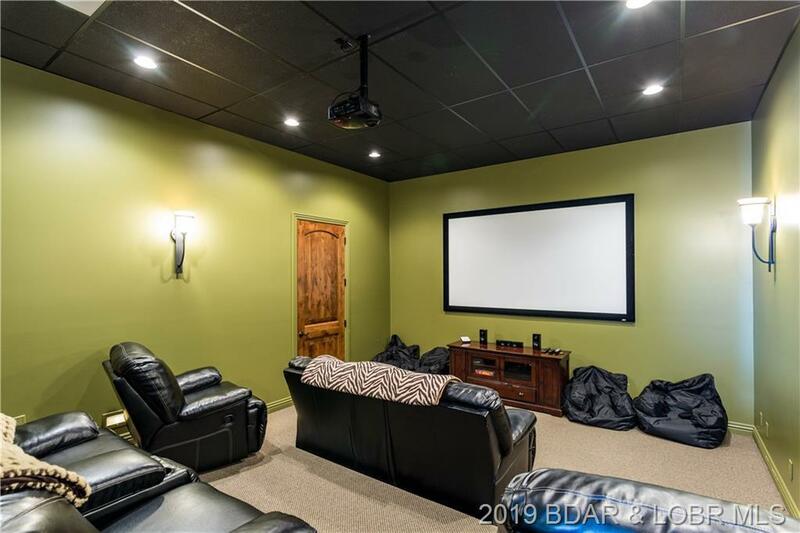 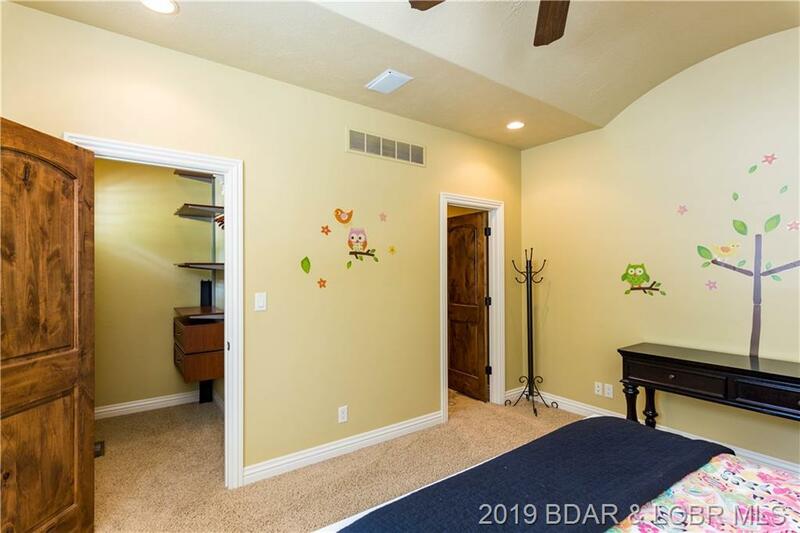 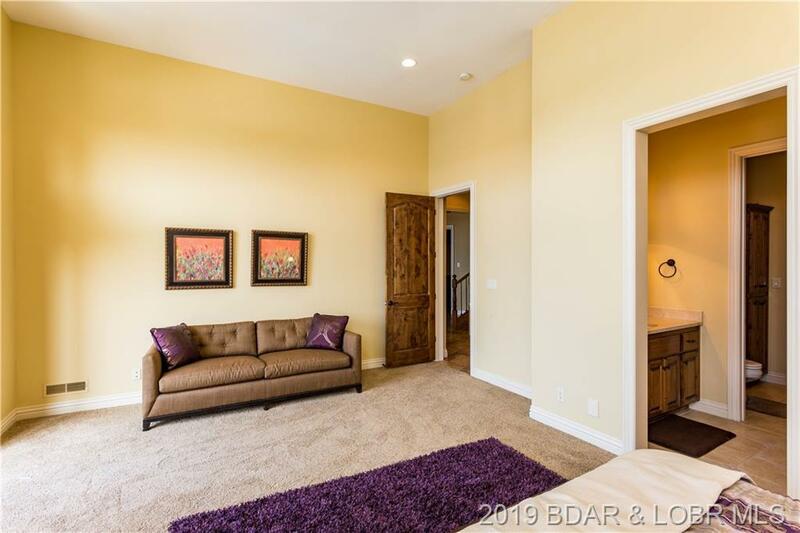 Fun filled family room has a one of a kind wet bar, billiards area, plus an elevated theatre room and easy walkway access to large deck and pool patio (don't miss the pool bath!). 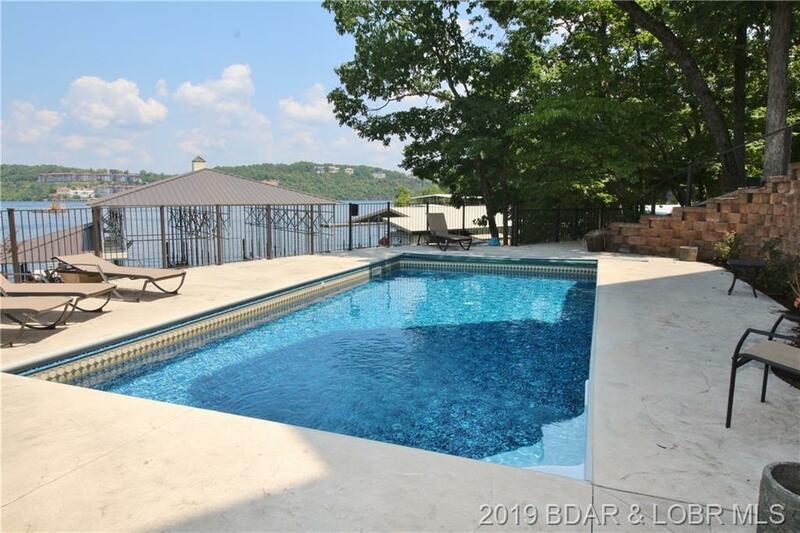 This fantastic package is ready for you and your family to enjoy! 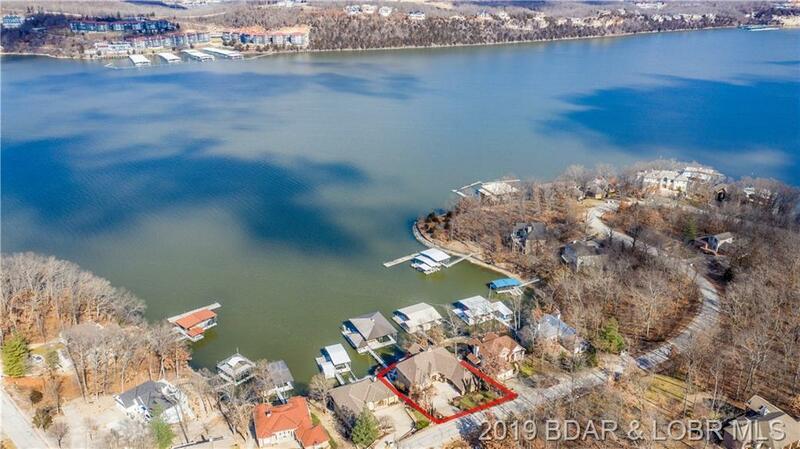 Directions: Mm - Turn At Bank Building Onto Grand Point Blvd, Right At Grand View, Circle Around To 1141 (About Halfway). 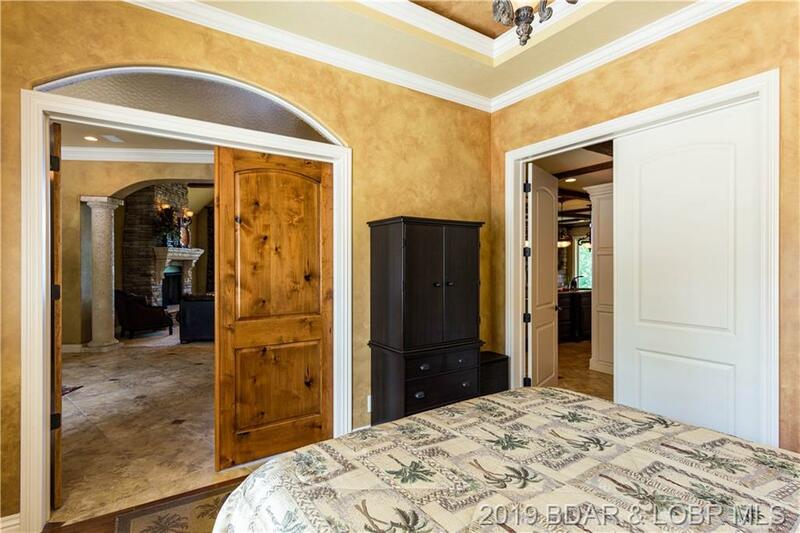 Easy Driveway With Plenty Of Room For Turn Around. 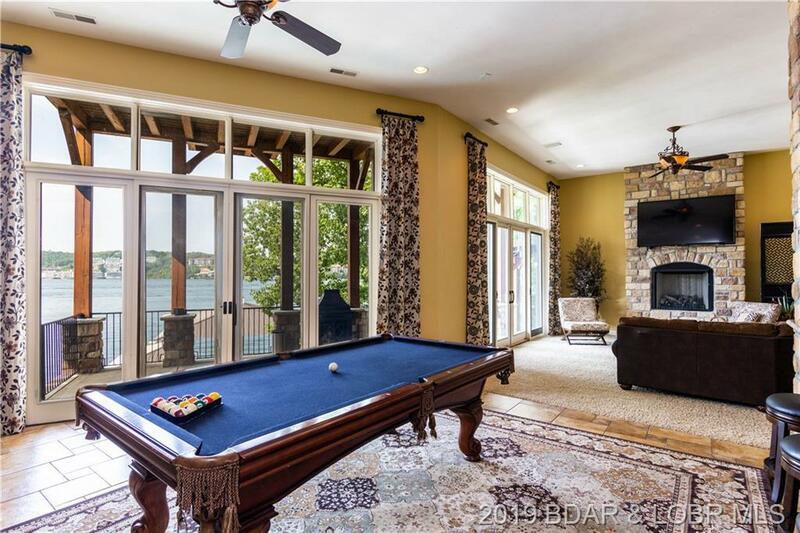 Inclusions: Turn Key - Everything - Just Bring Your Personal Belongings And Enjoy It Today!